The Dolomites was one of our favourite stops of the entire trip. Those huge towering mountains, the milky turquoise lakes and just all the views that we were constantly admiring. After a good night at our campsite getting everything cleaned up and clothes washed, we debated whether or not to visit Tre Cime di Lavaredo. 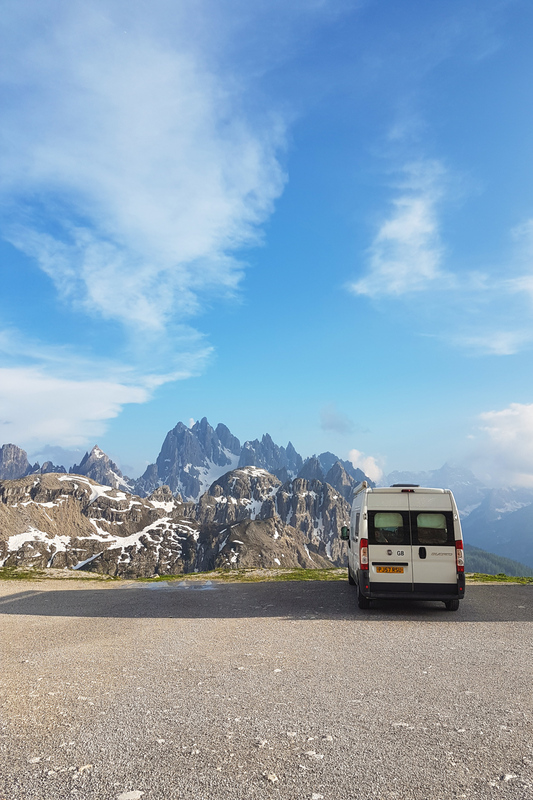 I’d seen pictures online before and wanted to visit so bad, but as we started looking into it, we realised that the toll road to get to the carpark at the refuge was going to cost a whopping €45 for a campervan!